I have noticed that a number of readers find their way to my blog seeking information related to California mutual water companies. In an effort to respond to that apparent demand, this post is devoted to some of the basics of those organizations. There are many nuances and other laws I will not mention in this post; for those you’ll have to contact me, since there are many considerations relevant to mutual water company operations and disputes. In California, there is no specific statute under which mutual water companies are formed or governed; mutuals are created pursuant to the various general corporation statutes. Mutuals are most commonly formed as general corporations (Corp. Code §§ 100 et seq.) or as nonprofit mutual benefit corporations (Corp. Code §§ 7110 et seq. ), although other structures are sometimes used for tax or other reasons. There are some special corporate laws found in Corp. Code §§ 14300 and 14310, but those supplement rather than supplant the general corporate laws. Because the method of forming mutual water companies is ordinary, so are most of the rules regarding their internal governance. The typical corporate governance rules apply to board elections and actions, ownership of property, assessments and other corporate activities. One key question is whether a mutual water company is subject to the jurisdiction of the California Public Utilities Commission (CPUC). That is important because the CPUC comprehensively regulates those companies within its jurisdiction, controlling their provision of water service, acquisition and disposition of property, water rates and capital structure. A regulated water company is commonly referred to as an investor-owned utility. Use of the term “mutual water company” does not mean that a company is truly operating outside the scope of CPUC jurisdiction. It is not uncommon for companies that refer to themselves as mutuals to be acting as regulated companies, sometimes without CPUC authorization, i.e., illegally. In order for a mutual water company to legally avoid CPUC jurisdiction, it must meet one of two tests. First, there is a statutory safe harbor in Public Utilities Code § 2705, which provides that a company is exempt from CPUC regulation if it delivers water exclusively to its shareholders at cost. A mutual may deliver water to certain non-shareholders, such as lessees of lands from shareholders, schools, public agencies or other mutuals in emergencies, as part of water acquisition transactions, or as part of water transfers. Those exceptions must be applied carefully so that a mutual does not inadvertently subject itself to CPUC jurisdiction. I recommend a hard look at any transaction involving non-shareholders. whether or not those offering the service have expressly or impliedly held themselves out as engaging in the business of supplying water to the public as a class, not necessarily to all of the public, but to any limited portion of it, such portion, for example, as could be served from its system. Samuel Edwards Associates v. Railroad Comm., 196 Cal. 62, 70 (1925). See Richfield Oil Corp. v. Pub. Util. Comm., 54 Cal.2d 419, 425 (1960), cert. denied sub nom. Southern Counties Gas Co. of California v. Pub. Util. Comm., 364 U.S. 900. This exemption from CPUC jurisdiction is less certain in its application than the statutory exemption, but there have been a number of court decisions establishing bright line rules. It is necessary to consult legal counsel for questions related to whether any particular water company is subject to CPUC jurisdiction. Mutual water companies may deliver water to their shareholders for agricultural irrigation or domestic uses, but rarely does a company provide both kinds of service. Agricultural mutuals are common in the Central Valley and other rural areas of California, and domestic mutuals have often been formed in conjunction with land development outside the urban core of cities. Mutuals have been used throughout the history of California, and well over 500 exist in the state today. One question related to agricultural mutuals that is frequently asked is whether water rights are owned by the mutual or by its shareholders. Either arrangement is possible, depending on the manner in which the mutual was formed and the way in which the water rights were acquired. It is much more common that the water rights are owned by the mutual, but there are a few examples where the shareholders own water rights directly. Even when a mutual holds the legal title to water rights, however, it does so on behalf of the shareholders, and there are a number of rules regarding that fiduciary duty. The key conclusion in such a case is that a shareholder may not transfer water pursuant to its shares without the approval of the mutual, since each shareholder’s right to water is subject to the rights of the other shareholders in the mutual structure. As one can see from the discussion above, there are many permutations related to the formation, governance and operation of mutual water companies in California. In general, mutuals in the state function well, although they can be subject to the same dysfunctionalities as any small, self-governed organization. The discussion above focuses on mutual water companies in California. The laws in other western US states are similar, although there are some distinctions, especially regarding the scope of public regulation. Mutual companies exist in Arizona, Colorado, Nevada, New Mexico, Texas, Utah and elsewhere. Similar structures exist in rural communities in other nations also, with mutual irrigation organizations often being some of the oldest elements of civil society. Well-governed mutuals can represent the best of local sharing of water resources and provide good examples for broader water resource management methods. As a wholesale mutual water company that allows the leasing of its shares from shareholder to shareholder. Is there any law that would prohibit the temporary assignment or leasing of shares to non-shareholders. I view this as detrimental to the company because it loses revenue when the shares are allowed to be leased to those that can produce it elsewhere. In fact the loss of those shares means that the rest of the group of make up the deficit thereby creating an unfair cost shift. Certainly the internal management of mutuals can be complex when considering the interests of various shareholders. The specific rules for each mutual are contained in its articles of incorporation and bylaws. In general, however, a mutual should be very careful when selling new shares or leasing them to non-shareholders, to make sure the action does not trigger CPUC jurisdiction. That’s a very fact-specific inquiry and beyond what I could get into here, of course. It does not mean such leases cannot be made, but they must be done carefully and precisely to be successful. When I called the company, the individuals were rude and very defensive ie basically hanging up the phone..what are they hiding? I don’t of course know what anyone is hiding (or not), but as a general rule a shareholder should have the ability to gain information about company operations, such as water quality test results. A mutual should treat its shareholders as valued stakeholders, and most mutuals I have worked with do, even when they may disagree on the best approach to take on certain issues. I would recommend calling again and politely asking for the information, or writing a polite email or letter. The mutual may not have tested for the specific parasite you are seeking information on, and it’s possible the problem is in your system as opposed to the mutual’s, so you might need to have your tap water tested if it continues to be a concern. The chlorine required to disinfect a drinking water system should kill any parasites, so the presence of such bacteriological contamination might be cause for larger concerns as well. I have been searching for any specific rules and regulations, laws and permits needed for land owners who have the potential to sell water wholesale.. The rules governing wholesale water sales, which are normally referred to as water transfers in California, depend on the type of water rights that are the basis for the transfer, as well as the way in which water will be made available and the proposed new use. The most simple transfers perhaps are of post-1914 appropriative rights, which are governed by California Water Code sections 1725 (for one year or less) or 1735 (for longer than one year). There are a number of court and State Water Resources Control Board decisions that interpret those provisions and provide guidance on some issues that may arise. The rules are slightly different for pre-1914 appropriations of surface water or for groundwater sources. The main rule applicable to transfers is called the “no injury rule,” although it applies in different ways to various types of transfers. There are additional restrictions based on environmental laws, and complications may arise based on the use of water conveyance facilities. If you have specific questions about your rights, feel free to contact me directly. I was told that mutual water companies have the statutory right to file a lien against their members for nonpayment of water debt. However I am not aware of such a law, although I suspect the the company’s own bylaws will assert such a right. Are you aware of any such law or regulation? California Corporations Code § 14303 provides that a mutual water company may levy an assessment against its shares, and that if the shares become delinquent in their payment, the mutual company may take any or all of the following actions: (1) deny the delivery of water; (2) sell or transfer the shares to another person; (3) cause the shares to be forfeited to the company. There is not a statutory right to file a lien against the shareholder’s lands, but such a right can be included in the articles of incorporation or bylaws of a mutual, as you suggest. Can you comment on whether California Assembly Bill 54 applies to a private, not-for-profit, mutal water company? Yes, AB 54 does apply to private, non-profit, mutual water companies in California. For more information on AB 54, please see my recent post here. DO YOU THINK THAT HIS NEW LAW NOW REQUIRES ALL MEETINGS OF THE NOT FOR PROFIT MUTUAL WATER COMPANIES TO COMPLY WITH THE NOTICE OF PUBLIC MEETING LAW ? No, AB 54 does not require mutual water companies to follow the Brown Act, which is the California public meetings law found at Government Code §§ 54950-54960.5. Mutual water company governance is controlled by the Corporations Code, with several varying approaches depending on the type of corporation the mutual is organized as. The rules for providing notice before corporate director or shareholder meetings are different than the rules for public agencies under the Brown Act. For more on AB 54, see my recent post here. Just recently became president of our Mutual Water Company. What are the requirements for Water Testing? Mutual water companies do not face any unique requirements for water testing. Those requirements are imposed by the California Department of Public Health (or the local county health department, depending on the county and size of the system) as part of its regulation of all public drinking water systems. Their website has a lot of information on testing and other topics here. Testing requirements are based on the size of a system and past history of drinking water quality compliance. For most mutual water companies, DPH is the most stringent regulator they will face, and it makes sense to maintain a good relationship with your local DPH representative. It’s definitely worth keeping on top of all testing and other compliance requirements and building good will with DPH. Can a private water companies board charge owners for future repairs plus a service fee on top of water usage? The simplest answer is yes. The board of directors has authority to manage the affairs of a mutual water company, including the setting of assessments, rates and other charges. For mutual water companies, as well as other types of water utilities in California and elsewhere, water rates often have two components, a fixed service charge and a variable commodity charge. In the past, a greater amount was commonly included in the service charge, but in the past decade water utilities have been encouraged to include ever-increasing amounts in the commodity charge, although we are starting to see some pull-back from that trend. Mutual water companies in California are much more likely to charge a higher percentage of their rates through the service charge, since that poses less risk of revenue variability for these relatively small organizations. In addition, California Franchise Tax Board regulations require residential mutual water companies to raise at least 60 percent of their revenue through fixed charges imposed equally on all members in order to qualify as tax-exempt organizations. Note that not every mutual water company in California has or needs the state tax exemption. As a general matter, a mutual water company board should set a budget that includes adequate amounts to pay for current expenses, plus reasonably expected future costs for repair or replacement of water infrastructure. It may be appropriate to include such expenses in the service charge component of rates, since all shareholders may benefit from water infrastructure repairs equally, without regard to water usage during any one period. The best way to raise revenue for any particular mutual will depend on its specific situation, and there is not a single approach that fits all companies. But what you describe may well be an appropriate method for a mutual water company to raise necessary revenues. One follow up question: Complying with capital reserve requirements of AB54 will result in doubling the historic rate for our small mutual water company. Is the board of a water company authorized to increase rates to that extent? There is no legal limit on the size of a rate increase by a mutual water company. There is a legal assumption that the limits imposed by corporate governance are sufficient protection for members of a mutual, i.e., the fact that the board are elected by the members. In addition, it may be assumed that the board of directors do not want to increase rates higher than needed, because they are also ratepayers personally. If a shareholder of a mutual water company loses their home in foreclosure after not paying their bill for a while, can the water company force the new owner to pay the past due bill before reconnecting service? Yes, that would be the proper way to handle the situation. The company would need to follow proper procedures in denying water service, and perhaps causing the forfeiture of the delinquent member’s membership share in the company as well. This general rule is, of course, subject to variations based on the governing documents of a particular company. As a shareholder of a mutual water co. Is it possible to legally relinquish our share to a mutual water co.?? It depends on the specific mutual water company, but as a general matter the answer is “no” a member cannot simply quit by relinquishing their shares. This is because a mutual has typically made significant investments to provide water service to each of its members, and if a member leaves the mutual, that burden would then fall on the remaining members. If there is no unfair burden-shifting under the circumstances, a member might be able to convince the mutual to allow them to leave, but that depends heavily on the facts and personalities involved. Of course, a member of a mutual is not in a different position than any other person dealing with their utility company. For example, a person who lives in Los Angeles cannot simply leave Los Angeles Department of Water and Power for water service, or Southern California Edison for electric service. These utilities have been considered monopolies for over a century in the United States. In some cases, a member has been allowed to leave a mutual water company based on “buying out,” i.e., paying the other members for the shifting burden in a one-time payment. Can you give me statistics on the percentage of mutual water companies that use a 20% quorum for shareholders to be able to vote to effect change, as compared to 30%, 40%, 50%, etc.? Also, is there information or a link to information that you can share with me that explains why mutual water companies do often use a 20% quorum and why it is considered fair and just to do so, even though that means that, technically 10% or so of the shareholders could be making decisions for the other 90%? Thanks! I don’t believe there are any statistics available for this question, although I would agree that relatively low quorum requirements are common. The reason is that like most homeowners’ associations, it is very difficult to convince mutual water company shareholders to attend meetings or even bother providing proxies. Thus, a higher quorum requirement would mean that no actions could ever be taken. Of course, a 20 percent or other quorum level is only a minimum, and any shareholder who wishes to participate in a shareholders meeting can do so. The “fairness” may depend on the eye of the beholder (and on how good the notice was of actions proposed for a meeting), but the basic fairness premise behind a low quorum requirement would be that if a shareholder does not take the time to attend the meeting or send a proxy, then they have intentionally waived their right to participate in the decision-making. I do think that a mutual should make a good faith effort to communicate with shareholders before taking a significant action, and it would be ideal for there to exist a substantial consensus for any such action, if possible. Of course, sometimes no consensus is possible, and the corporate rules typically provide for majority decision-making, just as in other contexts, such as politics. Is there a maximum or minimum limit on reserve funds for a mutual water company of 180 connections? There is no maximum limit on reserve funds for a mutual water company, and no minimum beyond the standard set in Corp. Code § 14301.3(b), which requires a company to “maintain a financial reserve fund for repairs and replacements to its water production, transmission, and distribution facilities at a level sufficient for continuous operation of facilities in compliance with the federal Safe Drinking Water Act and the California Safe Drinking Water Act.” In practice, the appropriate level of reserves is determined by the company board of directors, with review by the shareholders, who have the power to change the directors through voting. Does a mutual water company have legal right to levy a monthly fee to members who have not connected to the water? Can Board decide to levy fee for non-use of water? Yes, a mutual water company may levy fees on members who are not currently connected to the company’s water system. Membership in a mutual water company may be valuable, even though no water is being used, because that membership represents the right to receive delivery of water from the company, subject to the bylaws, rules and regulations of the company. The existence of a water delivery system may enhance the value of lands that may be served by the company, so it may be reasonable for the company to expect members in such a situation to pay their fair share of the costs of constructing and maintaining the system. Each company will have its own unique circumstances, and it would be impossible to determine what the “fair share” of a non-water-using member is without reference to those circumstances. What is the minimum percentage of stockholders (represented as shares) that are required to call a special meeting? If the mutual is a nonprofit mutual benefit corporation, members holding interests entitled to cast at least 5% of the votes at the meeting can call a special meeting. If the mutual is a general corporation, the holders of stock entitled to cast at least 10% of the votes at the meeting can call a special meeting. According to AB54 a mutual water company must have customer service rules and regulations. I’m looking for a good example or template to use. Do you have any suggestions were I could find this? Also my understanding is that a mutual must provide a 20 day notice of delinquencyto the shareholder, and followed by a 48 hour notice prior to termination of service. When providing the 48 hour notice they must make all attempts to make personal contact with the shareholder. Is this correct, and must the mutual water company provide a way for the sharehold to make payment to them during that 48 hours? I know public systems must provide the customer the ability to pay their bill is this the same for mutuals? There is no commonly accepted template to use for broad customer rules and regulations, although I do have proprietary templates for articles of incorporation, bylaws and other organization documents. One place to look would be the rules for investor-owned utilities regulated by the California Public Utilities Commission, which are often found on their websites with their water tariffs (rates). Of course, the situation for each company is different, but you could use one of the large company’s rules as a starting point. As far as rules for terminating service for non-payment, there is no specific rule governing mutual water companies. I do think it is prudent for mutual companies to have clear and specific policies, and to follow those policies closely. Those rules should include a method for a member to pay any delinquency, but there is no specific rule or procedure a company needs to follow. Regarding a mutual water association filing liens for collection of past due balances for water usage; our board has been led to understand that we can’t file an enforceable lien against a shareholder’s property. I understand there is no statutory authority for such liens, but is it possible to enforce them under some other authority? I have seen a suggestion that we might be able to impose a lien against shares, but I’m not sure how we would go about doing that, or how useful it would be, since it’s not obvious that there would be any public record of any such lien, and hence nothing that would come up in a title search or during transfer of title. Can you help with these matters? Thanks very much. You are generally correct about securing a lien on the land to which a mutual water company membership is attached. There is no statutory authority that establishes such a lien generally, but a particular company could provide for such a lien in its articles or bylaws, if those are recorded against all the properties in the service area with the consent of the landowner, e.g., as a subdivision is being developed. Properly organized mutual water companies have a statutory lien against mutual water company shares in Corporations Code section 14312. In addition, such a provision needs to be in the company articles or bylaws, which are recorded against the lands in the service area. It is that recording which provides the requisite notice. The value of the lien is that you can terminate service and require a subsequent purchaser to pay the delinquency before receiving water, and in the event of a member’s bankruptcy, you have a secured claim which you can often execute against the share. In regards to updating either the articles of incorporation or bylaws to allow the right to file a lien against the shareholder’s lands (which was recommended in recent AB54 training), is that suffient to allow a county recorder to accept such a lien? Are mutual water companies required to follow Public Utility Code Section 779 in regards to termination of service (mentioned in recent AB54 training)? No, Cal. Public Utilities Code § 779 only applies to investor-owned utilities regulated by the Public Utilities Commission, not to mutual water companies. It would be prudent for a mutual to have a rule established in its internal policies, but it does not need to be the rule in § 779. Is there a quick and easy way to find out if we have properly organized the board of directors, meetings, by laws? Unfortunately, no. This is one of the difficult aspects of mutual water companies, that they are typically small and have limited financial resources, yet their organization and operation can be complex. The easiest thing for you to do is look at Corporations Code §§ 14310 et seq. and compare the requirements there with your articles, bylaws, etc. While those requirements may not apply to your company, if it was formed prior to 1998 or not in connection with a subdivision of land, the rules in those sections are close to what would be required for any company. If you feel that you need expert assistance, I do have a set of model articles and bylaws I use for clients. What laws or provisions before 1998 would be grandfathered in? What happened in 1998 was the adoption of Corporations Code §§ 14300-14318. Sections 14300-14303 codified several common law rules about the nature and operation of mutual water companies, mostly related to the appurtenancy of shares to parcels of land, while sections 14310-14318 imposed new requirements on mutual water companies formed in connection with the subdivision of land starting January 1, 1998. The resulting rules for new mutual water companies require inclusion of certain governance provisions in the articles of incorporation or bylaws, filing of a certificate with the Department of Real Estate, preparation of an engineer’s report and opinion, compliance with certain design and construction standards for a water system, and preparation and distribution of an offering circular to potential purchasers of lots in the subdivision. Mutual water companies formed prior to 1998 are not bound by those requirements, although many of the requirements are advantageous for any mutual to follow. The articles of incorporation can be ordered from the California Secretary of State for a small copying fee. Bylaws are not filed with the state, so are not available in that manner. A mutual must allow inspection, including copying, of articles and bylaws by any member during reasonable business hours. There is no obligation for a mutual to make bylaws available to non-members. In a real estate transaction, the seller should make the articles and bylaws available to a potential purchaser of property to which mutual water company shares are attached. Otherwise, a non-member is not entitled to inspect or copy the bylaws of a mutual, although in some circumstances a company may make such corporate documents available. Does a mutual water company have the right to enter my property and repair the water line without my permission? A well-organized mutual should have easements across all properties where its infrastructure is located. Such easements should include a right to reasonable access for inspection, operation and maintenance of the infrastructure, without having to seek prior permission from the landowner. So, the short answer is “yes” a mutual should have that right. That does not mean that a mutual should enter property without a legitimate purpose or do anything while there that isn’t reasonably related to its operations. And it doesn’t mean that any particular mutual water company has the appropriate easements in place; sometimes mutuals are not well organized. I do think members should lean toward interpreting the organizational and legal agreements of a mutual in a manner that will best accomplish its purpose, rather than being unnecessarily difficult. Are mutual water companies subject to local government property taxes. Can California counties make assessments for personal property, other improvements and improvements to the land to a mutual water company (nonprofit) that provides water only to its stockholders and members? Yes, mutual water companies are generally subject to local property taxes, including those assessed by counties. The property tax exemption established in Revenue and Taxation Code § 143 is limited to nonprofit corporations operating for religious, hospital, scientific or charitable purposes. We are a California mutual water company in existance since 1965 serving the needs of seventeen homes in a subdivision. We are not incorporated, have no articles of incorporation or bylaws, have never filed any type of tax return, and are not taxed by the county on our tank farm land but are regulated by our county. We deliver water to our seventeen homeowners at cost plus a small amount to maintain a prudent reserve fund. We recently decided to look into obtaining directors and officers insurance and seem to need to incorporate to obtain the insurance. Have we been in legal limbo for almost fifty years? Prior to 1998 (and more common the further back you go), there were a number of “mutual water companies” that were organized as unincorporated associations. Since 1998 there has been a state law (Cal. Corp. Code §§ 14310 et seq.) requiring mutual water companies to be incorporated, so no new mutuals are being formed in this way. In addition, many county health departments that regulate drinking water quality require incorporation for the issuance of a permit to construct and operate a public water system. They prefer incorporated organizations because it provides a single entity for them to hold accountable, rather than an amorphous group of individuals. You may find that at some point in time the health department requires you to incorporate as a condition of issuing your permit, or you may be forced to do so based on the need for insurance, as you mentioned. I read your reply to George’s March 15th question on easement and have a follow up question on that subject. Does a mutual water company have easement to place a NEIGHBOR’s water meter on my property, adjacent to my water meter, even if there is adequate and reasonable space on the neighbor’s property? We asked and they said they can “do whatever we want” regardless of the fact that the neighbor’s meter prevents us from being able to put a driveway in the only available spot on our small mountain cabin property. Thank you. The scope of an easement depends on the document creating the easement, as well as a moderately complex set of legal rules. The enquiry is very fact-specific, and it would be impossible to give any broad opinion on such an easement. You may need to consult an attorney regarding the scope of the easement on your property. the mutual water company that i belong recently acquire a property near my home that was for sale we knew about this purchase because an our meeting we were told, is correct for a mutual water company to do this real state transaction with out the holders authorization,they told us that the property belongs to all shareholders is this true? A mutual water company may acquire and own property for corporate purposes just like any other corporation. There needs to be a company purpose, but that is a broad standard, and the board of directors has the discretion to determine those purposes. The shareholders do have an interest in property and other assets owned by the company, but it is not a direct ownership interest, merely a derivative one. The corporation has control over all property, through the board of directors, and no shareholder individually has a property interest in corporate assets. The one time this would change is when a corporation dissolves and the assets are distributed to shareholders, but for a mutual that is obviously very rare. Is a California mutual water company established after Jan. 1, 1998, required to maintain liability insurance and or insurance for it’s directors? For that matter, what insurance, if any is the mutual water company required to maintain? There is no legal requirement that a mutual maintain officers’ and directors’ liability insurance, but it would be advisable and is common for any type of corporation. Likewise, there are no express legal requirements for insurance to be maintained by a mutual company, but in its fiduciary duties, the board should maintain insurance necessary to protect the company against loss or liability. This normally takes the form of general liability and property loss insurance, with the limits determined in the discretion of the board. An insurance agent can help determine the proper policy limits. Wes, what is process in the dissolution of a mutual water co.? Do all the members involved need to agree? How is the well and equipment handled? There are a few steps for dissolution, which depend on whether the mutual is a general corporation or nonprofit mutual benefit corporation. Assuming a nonprofit mutual benefit corporation, the process starts with planning and adoption of a resolution by the board of directors, and approval by the members. Notice must be provided to the Secretary of State, Attorney General, members and creditors, and the corporation must wind up operations, including payment of all creditors and distribution of assets. The process has some complexities and oversight by the SoS and AG, so I would recommend consulting an attorney for any corporate dissolution. You asked specifically about whether all members need to agree. No, it would be the number required to amend the articles of incorporation, unless there is a higher requirement specified in the articles or bylaws. A well and equipment would be distributed according to a plan established by the board, which normally includes selling the assets and distributing any remaining money in the corporation to members, after payment of debts and other liabilities. This question relates to a member who’s water service was disconnected because of deliquencies against their share (after notification and board vote to disconnect) then going through bankruptcy and now wanting their service reconnected without paying the amounts accrued before backruptcy. If the board decides to reconnect without payment of the deliquencies against the share and wait until the propery changes members (property sold), is the the board giving up the right to require repayment (by either the current member or new member) before transfering the share? Our Bylaws require deliquencies to be paid before transfer of shares. There are some interesting interactions between the bankruptcy process and mutual water company law. Perhaps someday I will have the opportunity to write more about how bankruptcy of members can affect mutuals generally, but for now it suffices to say that the answer in your case depends on how the bankruptcy treated the debt to your company. If you would like specific advice on this issue, please contact me directly. I would very much like to hear more about how bankruptcy affects mutuals, when you get the time. In the case of a bankruptcy, could we revoke shares and then charge a set fee to buy them back and resume water service? In such a case we might argue that the owner has to pay us, even though his debt has been discharged. Would such an action, taken against someone in bankruptcy, be an impermissible attempt to collect a debt? Also, I am very curious about how liens against shares work. What sort of notice should we be giving for these? As far as I can tell, there is no way to insure that they show up on a title search, so we could be dealing with a new owner who would be very indignant about having to pay the previous owner’s water bill. I assume that a seller- in many cases, a bank who took the property in a foreclosure- would have a duty of disclosure regarding any problem with water rights. So we might direct a new owner to ask them for reimbursement. Thanks for all your help. You are doing a great service with this blog. Bankruptcy is an unpleasant business for everyone involved. Once a debtor has filed their bankrupcty petition, an automatic stay is imposed that prohibits any attempt to collect a pre-petition obligation other than through the bankruptcy process. A mutual water company that has a claim against a bankrupt member must follow the process like other creditors. A mutual may be in a relatively strong position to collect assessments, since such assessments should be treated by the bankruptcy as secured debt, so that the debtor must either pay the claim or forfeit the membership share (and the right to water service with it). Ordinary rates and charges may be harder to collect since they are typically unsecured claims. Once the bankruptcy process has finished, all claims will have been either paid by the debtor or discharged. If discharged, the creditor, including a mutual water company, cannot seek to collect the debt. For example, as you surmise, a mutual could not seek to collect a discharged debt through cancelling the debtor’s membership share, or terminating water service. While unfortunate, that is the nature of bankruptcy, and the result of a policy choice by the federal government. Re liens, your articles or bylaws should be recorded against all properties in the service area of the mutual. They should appear on the title search for every property in the service area. The lien of an assessment arises automatically by statute, i.e., no further recording is needed to make it effective. That is true, at least, if your bylaws are recorded and contain the right language, so it’s important to make sure your corporate documents are well constructed before a problem arises. A seller or real estate agent should disclose to a potential buyer the delinquency status of a seller to a mutual water company. In addition, a property sale agreement should provide that the seller pays all fees owed prior to the closing date, which should be calculated by the escrow company. The recorded bylaws should put the buyer and the escrow agent on notice to ask the mutual water company about payment status. Our California HOA formed (and owns) a small water company and the storage tank is contained on an easement on a homeowner’s property. Can we install additional equipment outside of the easement at our will without compensating the landowner for use? What kinds of laws govern how an HOA can charge homeowners for water? As it stands, HOA dues cover water and there are no meters to track usage, so it’s all rolled into the HOA dues. Are we allowed to charge some homeowners more than others for water? Some of our homeowners are full time residents while others are vacationers only. And lastly, can we limit the water supply in our subdivision in order to well water to the public? The answer to your first question depends on the specific property documents in place, e.g., the easement instrument and CC&Rs. An HOA or mutual water company does not generally have any property rights outside the easement or CC&Rs. It is generally not advisable to have the same corporate entity serve the purposes of both an HOA and a mutual water company. California law requires companies formed since 1998 to be separate legal entities, even if there is overlap in boards, meetings, etc. If yours is already organized in that manner, you may be able to work with it, but you might find it easier to split the two operations into separate companies. For example, the issue you describe about charges is different between HOAs (which generally require uniform charges) and mutuals (which can charge based on water usage or some other factor). I would be wary of selling water to any non-members unless you have a detailed examination of the circumstances. The danger is that selling water to the public will make the company into a public utility regulated by the California Public Utilities Commission, which introduces significant cost and oversight into your operations. I highly recommend consulting an experienced attorney before such an undertaking. It looks like the California Senate is in the process of moving through a new law, AB 240 (2013), that addresses liens for mutual water companies. The bill, as it currently stands, has some positives, but also some negatives – manatory auditing each year and a new open meeting law. Yes, AB 240 has passed the Assembly and is moving through the Senate process now. It has some positives, but the provisions regarding open meetings would be onerous and disruptive to most companies. I’m afraid it’s another example of one legislator concerned with one mutual water company imposing costs on thousands of companies and mutual members across the state. I will try to post more details on the bill soon. In regards to recording Bylaws against properties, wouldn’t it be better to record Articles of Incorporation if properly constructed instead? Bylaws usually can be changed by the vote of the board or members and having to re-record them can be expensive and time consuming. Our Articles of Incorporation include purpose, how organized (non-profit), initial directors, membership, assessments and the lands affected. Membership and assessments reference the Bylaws for details. In order to receive statutory protection of appurtenant membership shares and a lien against memberships for assessments, either the articles or bylaws can be recorded. I tend to keep articles very simple, and focus most corporate governance rules in the bylaws. While I would not oppose recording the articles, and you are right that bylaws are generally easier to modify, I think there is value from having the more detailed bylaws recorded. Recording of the detailed governance rules, especially the rules concerning the relationship between the corporation and its members, helps to put all members on notice and blunts any criticism that the member “did not know” about the rules. I will admit I have gone back and forth on this opinion, but based on experience the last couple years, I think it is worthwhile to record the detailed bylaws rather than the more sparse articles. Our bylaws were recorded with the county many years ago. The County Recorder tells us that they no longer record bylaws at all. This means if we wish to update our bylaws, the county will not record the update. I assume that, as long as our original bylaws were recorded, this doesn’t much affect us. Is this correct? Will changes to our bylaws be effective if they are just sitting in my file cabinet? Is the county is right to refuse to record bylaws, or their updates. You should be fine as long as your original bylaws that were recorded contain the language regarding assessments and appurtenancy of membership shares, even if some other provisions have been changed. The County Recorder should accept the recording, however. State law clearly provides for recording of mutual bylaws, and they are wrong to refuse the recording. On a related note, I once had a County Recorder tell me that they threw away the old books of recorded water rights, because they just weren’t used anymore (which was not true, as evidenced by the fact that I needed them to help a client protect a water right). I sincerely thought about notifing the Attorney General and local District Attorney that the Recorder willfully neglected his one main duty, which was to preserve official records. Does a Mutual Water Company have a legal right to force the estate of a (deceased) former member to pay a reinstatement fee if the property is not to be occupied, and being sold as part of the liquidation of the estate? Obligations of members toward a mutual water company are both personal obligations and obligations of the property to which the membership shares are appurtenant. Thus, someone associated with the property would need to fulfill the obligation, whether that be the estate or a purchaser of the property from the estate. Ideally, all obligations would be paid by the estate prior to any sale transaction, in the same way that a seller is required to pay all amounts owed to a homeowners’ association prior to closing of a sale. If not, however, the purchaser will need to “catch up” on all obligations before being entitled to any benefits, i.e. water, from the company. I recently purchased a parcel through a tax default sale in a subdivision with a Mutual Water Company. The title deed to the property reads that the property is “free of all encumbrances and any kind existing before the sale, except those referred to in Section 3712 of the Revenue and Taxation Code. The previous owner had a past due bill including late fees of which only a small portion was ever recorded as a lien on the property. The By-Laws I have been provided only mention forfeiting the water rights and suspension/expulsion of the membership for unpaid amounts; not a claim to the property. Does the Mutual Water Company have authority to collect any or all of the previous past due amount from me? Thanks. The ability of a mutual to collect past due amounts from a new property owner depends on the rules governing the specific mutual water company at issue, and the type of charge. For example, there may be a difference between an assessment and a water service fee. Generally speaking, a mutual may condition future water service on payment of the past due amount. While that may not matter currently for an undeveloped lot, it would likely affect the value of the lot on resale if the purchaser were to have no right to water service. We recently purchased property in the mountains above San Bernardino and the shares of the mutual water company that go along with it. We have been shareholders for only 4 months. The fixed fees monthly (member fee plus resident meter charge) seem quite high to me (over $40 per month) and our water usage has been negligible (less than $5) per month. How are the charges for water determined? Also, the mutual has been sued by a single shareholder, the issue being the quorum needed to take action in a shareholder meeting: The current quorum is 50% + 1 and the suing party wants it reduced to 20% + 1. This has cost the mutual water company over $150,000.00 to defend and recently we received an assessment of 143.00 to pay for legal fees. Shouldn’t the water company have insurance to cover legal fees? And as I was not a shareholder, why would I have to pay this assessment? The water company seems to have a bunker mentality and not answering reasonable questions, just sending out bills and shutoff notices. I have asked for explanation and so far refused to pay the assessment. Can the water company legally shut off my water if I am still paying all the other related bills? Every water company is different in its expenses and how it determines the amount of revenue needed for its operations, so I can only comment generally. The revenue requirements depend on what water sources are available to the company, what type of water treatment is required, the size and age of the distribution system and storage tanks, and other local factors. The revenue requirement is often divided into two portions: a fixed fee per month (or some other time period like two months or a year) and a variable fee based on water consumption. Because of their small size, and the fact that they generally operate with low reserves, mutual water companies tend to collect a greater proportion of their revenues through fixed fees, when compared to large urban water agencies. That reduces the financial risk associated with volatile revenues based on variable fees. That may be part of what you are experiencing. Assessments are owed by the person who was the shareholder of record on the date that the assessment was levied or another recent date set by the board of directors. Because shareholders are constantly changing, companies have to pick a record date for the assessment, even though that may not align perfectly with who the shareholders were during the period of time that costs were incurred. In addition, by statute, assessments constitute a lien on each share of a mutual water company. If unpaid, the company can suspend water service or cause the share to be forfeited. It is unfortunate that the company has been involved in litigation, since the burden falls on the company’s shareholders. In your article about Californis water companies, you stated that, in order to not be subject to PUC regulation, a company must be providing water at cost to its shareholders. Does that mean that the company must provide the water at the same price that they get it, or at that they can’t make a profit on it? “At cost” simply means that a mutual water company is not operated in order to generate a return for its shareholders or members. It does not dictate any specific level of assessments, rates or charges for water. The only action which is clearly inconsistent with a mutual water company maintaining its nature would be paying dividends to shareholders. A company may collect assessments, rates and charges that cover its expenses on a long-term basis, including retention of adequate capital reserves. A mutual does not need to provide water at the cost it pays for water supplies, or by any other such exact method. I would recommend contacting Peter Balas at Integrated Water Services (http://integratedwaterservices.com). They specialize in small-scale water and wastewater treatment systems (less than 1 MGD). For larger systems (1 MGD and more), contact Brian Cullen or Steve Owen at PERC Water (http://www.percwater.com). Please let them know that you learned about them from me, and they will treat you well. I have shares in a non profit Mutual Water Company they say I have 5 parcels my deed says it is 1 parcel I have a court order it is 1 parcel do they have to go by the court order the board of directors don’t think they have to go by the court order they say I still have to pay assessment fees for the other 4 properties that do not have water. A mutual must have a rational basis for issuing shares, e.g., one share per lot in a subdivision, as established in its governing documents. Sometimes subdivision lots do not correspond with legal parcels or assessor parcel numbers with the local county, especially in response to changing requirements for buildability on a site. That can make the basis for issuance of mutual shares difficult, especially if the lots/parcels change over time. Working through the issues for any given mutual is complex and depends on the specific circumstances. If the amount of the assessment is high enough, I recommend consulting an attorney with relevant experience. Given the complexity of the issue and the expense that can be involved, I also recommend mediation or arbitration of such disputes. We are a mutual water company currently rewriting our bylaws to provide a procedure for forfeiture of shares under California Corporations Code § 14303. We also want to provide a mechanism for re-issuance of shares- for a fee, of course. We are hoping that the threat of share forfeiture will help us to collect delinquent assessments. Are there any special problems associated with reissuing shares? It is important to have a very clear process for how the forfeiture of shares may occur, and also for reissuing them, including exactly what fees need to be paid. I have found that the more detailed and clear the process, the less it is tested by members, as you suggest. It is important that the process be fair and neutral, so that a member knows what will happen when, and that the process treats all members equally. It’s also important to apply the process in a relatively uniform manner to maintain the sense of fairness, albeit there are special circumstances sometimes that can justify varying the application. You should also include a bylaws provision that allows the company to place a notice of lien on the member’s real property, as will be authorized on January 1, 2014 when AB 240 goes into effect. Look for a post on AB 240 in the next couple days. Our mutual water company is going to have a new service installed on a lot that will be developed next year. None of our current connections (installed 30+ years ago) have water meters, but we have a master meter (for measuring wholesale water purchases). All the costs are evenly divided among all the 100 shareholders. It appears that California Water Code, Section 525 requires us to install a meter for this service connection. I was not able to find a requirement that we have to charge the shareholder on a volumetric basis. Are you aware of any requirement? You are correct. There is a requirement to use volumetric charges in California Water Code sections 526(a)(2) and 527 (a)(2)(A), but those provisions only apply to urban water suppliers who serve at least 3,000 customers or deliver at least 3,000 acre-feet per year. They do not apply to smaller systems like yours, and you have no obligation to retrofit existing service connections with water meters at this time. Our private non profit mutual water company is participating in a veteran’s training program. We give them access to our daily routines, facilities, and plans. Now, some of them approach third parties: investors, banks, adjacent water districts and international private water companies of our technical, financial, and management policies… We don’t authorize them to do so. Are we violating shareholder’s rights knowing that these veterans are trying to gain/profit from ‘inside’ information? Furthermore, does a private water company have the authority to sell its water rights to a foreign corporation? Robert Perez, High in nitrates, low in fire flow. It would certainly be reasonable when granting anyone access to internal information to require an enforceable non-disclosure agreement. Board members have an obligation to protect the operations and assets (including water rights) of the company, although whether it would be actionable by the shareholders depends on the totality of the circumstances. It would be difficult to determine in your company’s case, without a full investigation. I’ve read private for profit companies doing away with stock certificates. Can mutual water companies also do the same thing? If a mutual re-issues stock certificate information and there’s a descrepancy is there a legal issue or does the mutual have authority to change the shares or share value? As you state, many large corporations are no longer issuing physical certificates, but maintain an electronic share registry. Unfortunately, several of the laws that apply to mutual water companies, such as that making shares appurtenant to specific parcels of land, require an inscription on the face of the certificate, which would require the existence of a physical share. So for now, mutuals still need to issue physical shares. A corporation may recall, cancel and reissue all its share certificates. It would not have any effect on share value. Generally speaking, mutual shares do not have any cash value, they merely represent the right to receive water service on the appurtenant property. There is obviously a value to such a water entitlement, but it is not a cash value, and the value is normally tied to the land receiving the water service. Is there any credence to converting to a Mutual Benefit Nonprofit Corporation as mentioned in the document http://www.granmutual.org/gm_stocks.pdf to eliminate the need for physical certificates? No, conversion to a nonprofit mutual benefit corporation does not changes the rules regarding the need for physical certificates for a mutual water company. The main advantage for a mutual water company being organized as a nonprofit mutual benefit corporation is the limitation on liability for volunteer directors. There are some other advantages as well, but avoiding physical certificates is not one of them. I have two questions regarding the forfeiture of shares in a mutual water company. First, regarding our fee for re-issuing forfeited shares, would it be legal to base this fee on the number of years the shares were forfeited? My concern is that this might be seen as an improper attempt to collect assessments on a parcel for a period in which it was not part of our Association and therefore not subject to assessment. Second: Given that our assessments represent a secured debt, is it a violation of federal bankruptcy law to commence share forfeiture proceedings while a shareholder is in bankruptcy? Would this be an improper attempt to collect a debt? To your first question, it is absolutely allowed to ask an applicant for re-issuance of forfeited shares to “catch-up” on assessments they missed while the shares were forfeited. Otherwise, they could potentially gain an ownership interest in facilities that they did not contribute toward. It should probably be based on the amount of assessments levied or capital improvements made during the forfeiture period, rather than simply the number of years, but it should reach roughly the same point. To your second question, yes, that would be improper. The bankruptcy court imposes an automatic stay against any collection action, and that would include any action by a mutual water company creditor. The company will need to make a secured claim with the court. You may be able to have your secured claim fully protected by the court, as one of my partners and I did for a mutual client last year, but you have to work inside the bankruptcy process for that. How long does it typically take to establish a mutual water company? I’ve heard 90 days or so…is that more or less true? The more difficult part is regulatory permits. Technically they are not required for organization, but for operations. These may be from the local county or city, the California Department of Public Health, the State Water Resources Control Board or other agencies. These could take as little as about 90 days or could require as long as 3-4 years, depending on what the permit is for. A shareholder in a mutual water company that has been paying an annual standby fee to the water company wishes to discontinue its status as a shareholder. The water company’s bylaws provide that the shareholder is required to pay a cancellation fee. Does the water company have universal discretion to determine the amount of the fee against the shareholder? Is there some statute or other regulation that would allow the SH to challenge the reasonableness of the cancellation fee? can the water company essentially hold the SH hostage and force him or her to remain a shareholder by charging an outrageous fee? Are the company’s bylaws binding on the shareholder? A corporation’s bylaws are like a contract between the company and the shareholders. Thus, they are binding. There is no state law or regulation regarding the amount or terms of a cancellation fee; such a fee is determined only by the company’s corporate governance documents. Without knowing what the corporate documents might provide in the example you give, it would be hard to say whether there are any restrictions. That said, the purpose of such a cancellation fee is to prevent adverse financial impacts on the remaining shareholders. That could provide some basis for determining the proper amount of a cancellation fee, although that obviously covers a lot of ground. Is the cancellation fee itself considered an “assessment”? No, an assessment is a charge levied on all outstanding shares of the company, with an equal amount per share. A cancellation fee is a special charge for a corporation to cancel one or more shares as a matter of right. Without such a rule, a shareholder does not have an inherent right to quit the corporation (unless the articles or bylaws provide otherwise). Our small mutual water company requires an operator with a D2 & T2. Does that employee need to be full time? What duties are not required by the CDPH to be fulfilled by a licensed operator: Meter reading, Billing, Leak detection? Not being a trained operator myself, I don’t know the answer to your question. I strongly suspect that some basic tasks without any ability to affect water quality, like meter reading and billing, could be done without a license. Your licensed operator may have some training materials that would answer the question. You could also ask an engineer or operator of a larger public water system in your area. Most would probably be glad to help. We’re delighted that we now have statutory authority to file liens under AB 240. However, we wonder now whether our liens might be extinguished by tax sales, foreclosures, or bankruptcies. Some of our shareholders have filed for bankruptcy and our liens remain in the county records after discharge. Are these liens still enforceable? We appreciate your help, Wes. Your approach seems reasonable. If your lien against the property is extinguished, you would still have a lien against the membership share in your mutual water company. You could follow your process to cause the forfeiture of the share, whether that is automatic or a discretionary action by the board. In 1988, restated and amended Articles of Incorporation for this mutual water company were filed and there have been no updates to the Secretary of State since. The language regarding sales to non-shareholders was added: “…or to the state or any agency or department thereof, pursuant to California Civil Code Section 330.24.” Is this still a viable code? Did the subsequent iterations replace that code, and are they, 14300 & AB 54, the governing codes for this mutual water company today? This mutual water company was established in 1923. You are correct that former Civil Code section 330.24 has been replaced by Corporations Code section 14300. Referencing the older section number is not a real problem, although it would be worth cleaning up next time the articles or bylaws are amended for other reasons. A non member outside of our mutual’s infrastructure boundry requested that we extend our system to him. Until now, all new memberships have been within the original infrastructure boundry. Bylaws only say that BOD may refuse extension if applicant refuses to pay cost of extension. Currently all members received infrastructure with cost of Membership Share. The new member is facing paying for a Membership Share plus total cost of extension. Are there guidelines as to how resident (not developer) extensions should be paid. Should a portion of the cost of the Membership Share be devoted to the extension/infrastructure cost. There are no hard and fast legal rules for how this should work, other than those which might be in a company’s articles or bylaws. The discussion below is my sense of what constitutes a “best practice” for adding new members. A new member should be required to pay for two things: (1) all costs associated with their connection to the water system; and (2) a fair share of investments previously made by the prior members. The first is relatively straight-forward, but a company should make sure it is capturing all changes that must be made to the water system to accomodate the new member’s water demands. The second could be approached in several different ways. One way is to add up the assessments the new member would have paid over a previous period of time, for example, 20 years. Another way would be to have the member pay for a proportional share of the value of the entire water system, which would be calculated as Replacement Cost New Less Depreciation (RCNLD). A company might reasonably consult a financial advisor or economist to calculate these charges. The funds from the second contribution could be placed in the company’s reserve fund, or used to make system improvements. All of the above should be determined by the board of directors in its discretion, relying on professional advisors as available. Where can I file a complaint against a mutual water company? This company is not under the CPUC jurisdiction. You are correct that mutuals are not regulated by the CPUC. I highly recommend trying to resolve any issues internally to the extent possible, which will minimize the expenses of the dispute for both you and the mutual. I would speak with one or more board members, including attending a board meeting to discuss your issues. If the current board members are not responsive, you can also run for the board yourself, to have a direct impact on company management. If necessary, you can file a complaint with the superior court, but that requires hiring an attorney and can be expensive for everyone. Remember that as a member of the mutual, you end up paying both sides of the dispute, and some expenses are imposed on your neighbors, as well. We had corresponded briefly a year ago… what are the legal ramifications for a private small water company that refuses to ensure adequate water supply for fire suppression in a high fire area? Can the surrounding communities (on public water supply), fire authorities and homeowner’s property insurance companies sue the HOA-owned water company in the event of a forest fire? How can concerned parties put pressure on the HOA-owned water company to provide an adequate water supply? Contacting the county and state has been ineffective, and the water company is private, so they’re outside of the jurisdiction of most agencies. A water company owned by a homeowners association is most likely operating as a mutual water company. As you state, such companies are not subject to significant oversight by outside agencies, but are supposed to be self-governing. For drinking water sufficiency, mutuals are regulated by the California Department of Public Health, or for some systems serving fewer than 200 connections, by the county health department. For fire protection, I recommend you speak with the county fire marshal. Liability for failure to provide fire protection is a complex issue, and one that is unfortunately beyond the scope of what I can cover in this blog. If you need an answer on that question, I recommend you speak with legal counsel. I would be happy to speak with you privately. Can a complaint be filed through small claims court? Yes, a mutual water company may both sue and be sued in all California state courts, including small claims court. As a corporation, a mutual water company will be limited to $5,000 in small claims court, but an individual member can file a claim up to $10,000. All claimants are limited to two claims per year that request $2,500 or more. I live in an area that has fire protection provided by a local fire district, in a state fire protection zone and serviced by a mutual water company. My comments are not legal advise, nor am I an expert on fire protection. I have had discussions with the fire district about fighting forest/brush fires that have occurred in our area. Fire protection systems, such as hydrants that a fire department would used, are designed for fighting structure fires. Residential fire protection sprinkler systems are design to help save lives, but not designed to necessarily save the structure. Our fire district indicates that if there was a forest fire/brush fire, they would not be using (pumping from) hydrants. Small fires are handled by trucks carrying water and may use hydrants for refilling. Larger fires are handled by the state (Cal Fire) using water/flame retardant drops. Relying on a mutual water company, specially if they have pumps that could loose power due to a large fire, would not be a reliable source of water. Your area has probably been evaluated by the ISO (Insurance Services Office) in conjunction with your local fire protection to rate your fire protection. Insurance providers use this information to set fire insurance rates. You may be able to find out from ISO how they view fire protection in your area. We recently sent out ballots to our shareholders to elect directors to our board, and were chagrined that some of these went to people whose accounts are badly in arrears. My initial assumption is that any shareholder has the right to vote in board elections, but I am wondering now whether- if we included such a provision in our bylaws- we could deny voting privileges to shareholders who have not paid their assessments for a certain length of time. Yes, a mutual can deny delinquent members the right to vote in corporation elections, as you suggest. It would be helpful to have an express provision in your bylaws with a process for the board to declare a member delinquent and an opportunity for the member to be heard on the issue. The State of California has recently enacted regulations governing the use of water outside the home. The State permits water agencies to fine their customers up to $500 per day for non-compliance; the State itself can fine water agencies up to $10,000 per day. Am I correct to assume that a mutual water association is a water agency for the purposes of this law- that we can fine our shareholders, and that we can be fined by the state? The emergency regulations prohibit (1) the application of potable water to outdoor landscapes in a manner that causes runoff to non-irrigated areas, (2) use of a potable water hose to wash a motor vehicle, unless the hose is fitted with a shut-off nozzle that causes it to stop the flow of water when not in use, (3) the application of potable water to driveways and sidewalks and (4) use of potable water in a fountain or other decorative feature that does not recirculate the water. Taking any action is an “infraction,” punishable by a fine of up to $500 per day. An infraction is enforceable by local authorities with police power, such as cities and counties, and the local district attorney. A mutual water company would not be able to enforce these regulations directly. A mutual certainly would be on firm ground to adopt its own, similar rules to prohibit waste or unreasonable use of water, and could fine its members based on those rules. Thanks for your prompt reply, Wes. A follow-up question; is a mutual subject to the $10,000 per day fine if its members do not comply with the law? A $10,000 fine is only applied to a person who violates a cease and desist order from the SWRCB. Under the drought rules, the SWRCB would have to issue an order to the water company or individual, and then the company or individual would have to violate the order. So, fortunately, the chances of such a penalty are fairly remote. How should a mutual water company adopt its own rules to prohibit waste or unreasonable use of water and resulting fines? By resolution or change in by-laws? Notification to shareholders? How does a mutual water company quantify what is unreasonable use? I would recommend establishing rules to prevent the waste of water by the board. The board has inherent authority (unless expressly prohibited in the articles or bylaws) to adopt such rules, and having the rules adopted by the board rather than in the bylaws allows a more flexible response to water conditions. I would provide notice to the shareholders of any such policy adopted by the board. It is difficult to quantify unreasonable use. Most utilities simply prohibit certain activities or limit the frequency of outdoor watering, and then use water pricing to discourage overuse of water. I would recommend such an approach, especially the use of tiered pricing models. It may take some experimentation to find the right level of water rates that will discourage waste of water, but allow regular uses without undue burdens. If a water company’s shares were previously not appurtenant to land, but the water company has since formally made its shares appurtenant to land, what happens to all of the outstanding shares issued prior to the change, which are not appurtenant to land? Does the water company have the right to require shareholders owning shares not appurtenant to land to relinquish their shares to the company? If so, for what consideration? If not, what are the company’s options with respect to “terminating” such shares? As a separate issue, can the company stop charging assessments on those shares and/or cap the value of such shares? As an initial matter, let me note that a mutual water company that provides water to residential properties is required to make its shares appurtenant to those properties. While there are companies that have not yet updated their organization to meet this legal requirement, they should do so. The mechanics of updating their organization to make shares appurtenant will vary by company, since every company has different articles, bylaws, history and circumstances. But as a general matter, a company should make the existing shares appurtenant to the lands they are serving. The company may issues new share certificates, but those would merely represent the existing shares, and not the issuance of new shares. The shares would have the same value as before, and generally have similar rights and obligations. Thank you. On my reading of Section 14300 of the California Corporations Code, the bylaws (or articles) of a mutual water company distributing water for domestic use must provide that the water will only be provided to owners of the company’s shares, and the shares will be appurtenant to certain lands when the share certificates describe such lands. In other words, a mutual water company is permitted to make its shares appurtenant to land by having the land described in the share certificates. This is an option; not a requirement. Do you interpret this section differently? Back to my original question — what if some of the shareholders who currently own shares do not own the land to which the shares would otherwise be appurtenant? Can the company, which has now made its shares appurtenant to land in accordance with the Code requirements, require those shareholders to buy the land or else to relinquish their shares to the company? Yes, I do interpret Section 14300 differently. The purpose of the section is to require domestic mutual water companies to make their shares or memberships appurtenant to the parcels of land they serve, so that a purchaser of a residential lot is not in the position of buying property without access to water through the mutual. This section was adopted in 1997 and only applies to companies that were formed after January 1, 1998 or make some change to their organizational documents requiring compliance with this new law. Your specific question is a conundrum, and exactly the kind of situation Section 14300 was intended to prevent. But companies formed prior to 1998 may have all sorts of eccentricities like the one you describe. The issue would need to be worked out in your circumstances, so that the laws and your articles and bylaws are satisfied, and so that the situation is resolved equitably for everyone. I don’t know enough about your particular situation to give a resolution here, but feel free to contact me directly if you would like to discuss. Hello! I work for a mutual water company and we have a shareholder requesting to know results of our fire flow tests. Being a mutual with stockholders, is it legal to give the shareholders this type of information? Or is it illegal to not give them the requested information? Thank you so very much for your help. Have a great day! Under the new laws, there are several types of documents that a mutual must provide to its shareholders upon request. This includes agendas and minutes of board meetings, annual budgets and financial reports, and the results of a water quality test. (Corp. Code § 14307(a)(1).) As you note from that list, fire flow test results are not included, and thus there is no legal requirement unless required by your company’s articles or bylaws. That being said, there is no prohibition on your providing that information to shareholders, and I would recommend doing so absent some good reason. Is a Water Company required to upgrade the system to meet the current fire code requirements (specifically for flow and storage) ? The Company seems to think the are grandfathered in to the fire flows that were mandated when the company was formed in the 1970s’. It seems the county does not have a fire marshal. The waterworks standards are not retroactive. When a water system replaces infrastructure, however, the replacement must meet the then-current standards. An obligation to improve the water system, including fire flows, may also fall on a proposed new development, as a condition of obtaining land use approvals. Can a mutual water company fine it’s shareholders if they go over an allotted monthly amount of water? We recently purchased a farm property which was deeded to us with 1 and 1/2 shares in a ditch company. We recently learned that the seller had 5 shares all of which he used to farm the land which was not disclosed to us. Was he required to disclose the use and ownership of the additional 3 and 1/2 shares to us upon selling us the property? We understand he has leased his remaining 3 and 1/2 shares to a nearby property. Thanks. California law requires a mutual water company that serves water to its members for domestic use to make its memberships appurtenant to specific parcels of land. It is that appurtenancy of the memberships to land that would prevent what you have described briefly. For a mutual that provides irrigation water, however, there is no legal requirement to have appurtenant memberships. An irrigation mutual may choose to make its memberships appurtenant, but appurtenancy is not required. There may be good reasons for either approach, based on the circumstances. 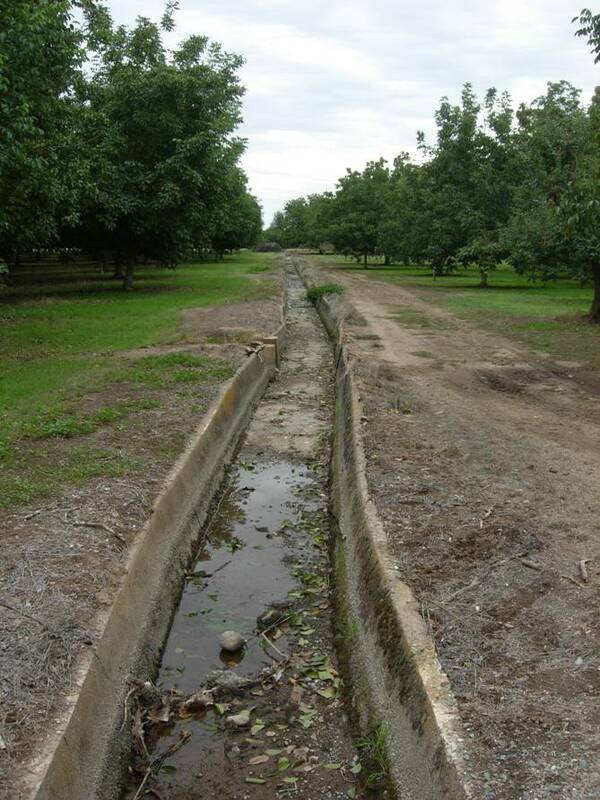 If an irrigation mutual has chosen to make its memberships appurtenant, that would be reflected in its articles of incorporation or bylaws, so those documents would be the place to look to see whether this particular seller and mutual have acted appropriately in allowing the separation of land and water. Most of the real estate disclosure laws in California apply only to residential properties, and not commercial or farming properties. If the mutual’s memberships are not appurtenant to specific parcels of land, then they are personal rather than real property, and most likely would not need to be disclosed to a potential buyer (in the same way that the tractors used by a farmer would not need to be disclosed). But this depends on the overall circumstances also to know whether the seller was acting in accordance with good faith and fair dealing. If you would like to discuss the specific circumstances, feel free to contact me at wstrickland@jw.com. I am trying to figure out if a mutual water company can have two types of members. One class of member that is allowed to vote for a board of directors and one class of members that is not allowed to vote for a board of directors. Or are all members supposed to vote for a board of directors. The short answer is “no.” A mutual water company may have multiple classes of memberships or shares, but all classes must have the right to vote for directors, and on matters that may affect that class. A mutual water company by its nature must be member-controlled, and the manner of exercising that control is almost exclusively through voting. Thus, establishing a class without voting rights would undermine the very nature of the company as a mutual. Do private water companies have any duty to its shareholders to have meetings, as in, where shareholders are invited to attend? We are part of a water company where one or two people just make the decisions without any opportunity for input, or overview, being offered to any of the other shareholders. Is this legal? Mutual water companies are required to have meetings of their members (shareholders) at least annually. At the annual meeting, the board will present an overview of company business, the annual budget for the upcoming year and other matters of interest to the members. The members will typically elect directors to fill any board seats that are vacant or expiring as of the meeting, although in some companies the election is done by written, mailed ballots. It is often difficult to have sufficient members attend annual meetings to constitute a quorum for voting or other action. Because of the general lack of interest by members in attending meetings, some boards or officers become accustomed to running their companies without observing all the corporate formalities, like annual meetings. This often works well enough, until it doesn’t. So the short answer is, no, a mutual water company cannot operate without annual member meetings. But when you approach the people who are running the company, it is wise to assume they are doing so because other members don’t show much interest. It’s best to start your conversation that way. As a Non-Profit Mutual Benefit /Mutual Water Co. what are the rules of using reserve funds for operating expenses to meet budget shortfalls? Some people are saying we can “borrow” and “repay” later. What law speaks to this? There is no statutory rule regarding the use of reserve funds to pay for an operating expense deficit. The only law regarding mutual water company reserves is Corp. Code 14301.3, which requires that a company “maintain a financial reserve fund for repairs and replacements to its water production, transmission, and distribution facilities at a level sufficient for continuous operation of facilities” in compliance with federal and state drinking water standards. As long as a reserve fund is sufficient to meet that requirement, there is no prohibition on diverting some funds to other purposes. From a corporate governance perspective, you should make sure that any money is transferred from the reserve fund to the operating fund by proper action of the board. If the board set up the reserve fund and contributions pursuant to a resolution, I would recommend using the same type of action to transfer monies. At a minimum, the transfer should take place following a motion and vote by the board, with recording of the action in the meeting minutes. Of course, saying that transfer of monies from the reserve fund to the operating fund is not prohibited by a California law, does not mean it’s a good idea. There would be many opinions on that question, and it’s one you’ll have to consider fully as a board. Other alternatives may include a special assessment of the members or borrowing from another source (although the wisdom of that would depend on the relative interest rates of borrowing and your reserve fund investments). I live in a neighborhood with 1000 homes that belong to a municipal water company. Many of our homeowners have had numerous questions that we would like to discuss with our board of directors. We suspect that they are not conducting regular monthly board meetings though. Shareholders are invited their annual meeting. I have requested in writing copies of the monthly board minutes as well as the financial statements presented at the monthly board meetings, but have been told that the annual shareholders meeting is the only general or open meeting that takes place and that the executive session minutes are not available. Michele, I am going to assume that your water provider is a “mutual water company” (MWC) for this response. Your thoughts are mostly correct, on the facts you cite, although it also sounds like the facts are somewhat unknown. As an initial matter, the board of a MWC is not required to have monthly meetings. Many companies have meeting once per quarter, and that is sufficient to handle corporate business. The board can determine the frequency of their meetings based on the needs of their specific corporation and the attention it demands. There is an annual meeting of the members, which is normally the only meeting at which members have the opportunity to vote and is the primary occasion for passing information to the members. Special meetings of the members are also possible, but tend to be rare. As you note, however, Corp. Code 14305 has changed this somewhat, by allowing members to attend board members and to receive copies of the board meeting minutes. Thus, it is no longer true that the annual members meeting is the only open meeting that takes place. In addition, while executive session minutes are not available under Corp. Code 14305, an executive session is only a part of a larger board meeting, which has minutes that must be made available. The results of an executive session must be reported out at the end of the session, and recorded in the larger meeting minutes. So it appears that your board is confused on how to apply section 14305. Our Mutual Water District bills on a tiered system. However because of the way they’re set up their billing process, sometimes the monthly billing cycle is 29 days and sometimes it’s 36 days. On the longer billing cycle, even though our daily consumption is unchanged, more of our consumption is pushed into a higher tier and therefore causes artificially higher bills. I’ve brought this to the attention of the board who decline to change things. Have they also declined their fiduciary duty? I presume I have no avenues of complaint other than via the court? That’s an interesting issue, not one that I have seen previously. I’m not aware of any rule or court that has directly addressed it. I would think that the best way to handle would be to have a daily allowance for each tier, rather than a monthly one. That way, when the bills are calculated, the company would multiply the allowance for each day by the number of days in the billing cycle to obtain a consistent result. There are not many rules regarding mutual water companies and rate-making. Tiered systems are common across government-owned systems, public utilities and mutuals, although some recent court decisions have critiqued such systems, finding certain aspects violate Prop 218. That law does not apply to mutuals, although the basic idea that rates should match the cost of providing service does, in a general sense. I don’t know that the system you describe would violate any legal standard, but it does seem daft, when the fix is relatively easy. Our previous board has been too casual about enforcing our Bylaws despite concerns from citizens. 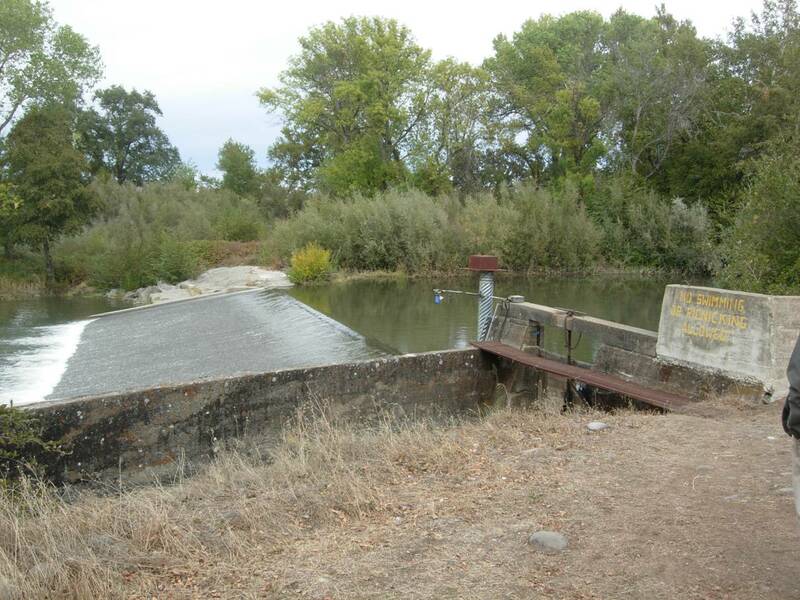 It allowed a lot outside town boundaries water access for years thinking that a membership could be transferred from one lot to another and not realizing it was located outside our town boundaries. The present Board got a strong legal opinion on the matter ( which included the fact that the lot owner had been on the Board for decades and should have known better) and the Board decided to stop access to water to the transferred membership parcel outside town boundaries after a town vote to try and incorporate the property into the town boundaries failed. The lot owner plans to get back on the Board with friends and reverse the decision. What recourse will town members have to challenge this reversal? It is important for a mutual water company (or any corporation) to comply with its articles of incorporation and bylaws. Without knowing your company’s specific bylaws and context, I would not be able to offer anything useful about your situation. However, I can speak generally about adding new members to a mutual. There are several different approaches that companies use, from prohibiting new members entirely, to regularly adding new members who happen to own properties that adjoin the service area and could not be easily served by another water system. Rules can be established that allow either of those approaches, or some strategy in between. New members should generally be asked to pay a new member fee upon joining, which should cover the cost of physically connecting them to the system, plus a share of historical investments in the system. The precise method of calculation can vary. If a board of directors is violating the company’s bylaws, members can send a demand to the board to cease the disputed action. If the board does not agree with the demand, the member may file suit in superior court seeking an injunction against the threatened action. If the corporation has been harmed, the members may request damages, on behalf of the company, in what is known as a derivative action. Those are very rare for mutual water companies. Because companies are small and have limited budgets, which are collected almost exclusively from members, I recommend pursuing litigation only in rare circumstances. There are ways to increase your leverage both legally and politically within a company, and those are usually more effective than litigation in any case. With filing a Property Owners Association Statement with the County, what information should it contain? Is this considered a lien? I’m not really an expert on homeowners associations. I recommend you look at the excellent blog on HOA law run by Adams Stirling. For mutual water companies, would shareholders be able to drill their own well within the water company boundaries if they so desired? There is no standard answer to this question. It would depend on how each company is organized. Many companies were formed at the time of subdivision of land, and some of those include a restriction on drilling wells in the Covenants, Conditions & Restrictions (CC&Rs) that were recorded as part of the subdivision. The same concept may be expressed in terms of an assignment to the mutual water company of water rights associated with the subdivided lands. At the same time, many companies do not have such restrictions, or an express term in the articles or bylaws that require the member to meet all its need for water supplies from the company. If a member does drill their own groundwater well, and continues to use water from the company also, the member will be responsible to install and maintain a back-flow prevention device on the connection to the company’s distribution system. That is required in order to ensure that no water from the personal well can enter the drinking water system maintained by the company. This requirement is part of the cross-connection control program maintained by the Division of Drinking Water at the State Water Resources Control Board. If a mutual water company is formed and a landowner is within the created boundaries, is he required to join? Does he have to opt out or opt in? Also, are there any type of notice requirements for the mutual water company? Thanks. Formation of a mutual is not like formation of a public district. A district is land based, i.e., every landowner within a defined service area will be a participant in the district as a member of the public. Mutuals do not provide service to the public, but only their members. Membership is only granted to those who buy in or otherwise are issued a membership interest, not everyone who lives within a defined area. It may well occur that there are properties within a mutual’s “service area” to which memberships are not appurtenant. There are few mutual water companies created after the development of land, but it does occur occasionally. If there is no water system in place, joining a mutual water company would be entirely voluntary, and each landowner would need to opt in at the time of formation. However, if there is a water system already in place, and the mutual is being formed to acquire and operate the system, a landowner who is connected would have a difficult time opting out. It could be done under some circumstances, but the landowner would not want to be left with no source of water. What could happen is that the landowner would remain connected to the system and pay rates like everyone else, but the landowner would simply not join the company as a member. I would not recommend such an arrangement, because the landowner would not be entitled to vote or otherwise participate in the company management, but would still bear all or most of the obligations of receiving water from the common system. There are, of course, many permutations and variations on how a mutual might be formed. You should talk to an attorney who understands the workings of mutual water companies for specific advice about how it might operate in your situation. If our CA mutual water company sells water to non-members (expect for selected entities, e.g., government agencies) we can be subject to PUC (Public Utility Commission) requirements. It is a general rule that a mutual water company may only sell water to its members, or risk being subject to CPUC jurisdiction. There are, however, a number of exceptions, some statutory and some based on prior court and CPUC decisions. I believe that selling water to a landowner who opts not to join a newly formed mutual, but continues to receive water from a pre-existing connection, would be one of those exceptions. But you would have to consider all the circumstances, and this is an extraordinarily complex area, thus why a company in this position should be very careful and consult an attorney to make sure they do not cross the line! We are a mutual water company, organized as a Nonprofit Mutual Benefit Corporation. Our bylaws specify that all assessments represent a lien against the membership that is appurtenant to the property. In the past, we have treated all outstanding charges for water service, not just special assessments, as liens against the membership. In cases of foreclosure, we have asked the new owner- usually a bank- to pay these outstanding charges. But lately we have come to wonder whether this practice is legally justified. We have a case now in which the new owner purchased a foreclosed property directly from the bank. He insists that the lien we had previously recorded against the property has been extinguished; for all we know, he is right about this. But he also insists that the debt was extinguished at the same time. Is he correct on this second point? It is important to distinguish between two different properties against which a lien may be affixed. First, if a mutual water company chooses to do so under Corporations Code § 14304, it may record a lien against the parcel of land to which a delinquent membership or share is appurtenant. Such a lien may be extinguished through foreclosure, if the proceeds of the sale are not sufficient to pay off the amount owed to the mutual company. Second, pursuant to a mutual water company’s articles of incorporation or bylaws, assessments, rates and charges may automatically form a lien on the membership or share. The membership or share is a separate property interest, independent of the parcel of land owned by the member. While the membership or share will be appurtenant to the parcel of land, each is a separate property interest, and a separate lien may be affixed to each property interest. Therefore, even if a lien on a member’s land were extinguished by foreclosure, a separate lien on the member’s membership or share would not be extinguished. This is why I recommend having your articles and bylaws provide for liens against both the membership and the land. In the past, I have litigated this issue before a bankruptcy court, which agreed that this approach is correct in that context, as well as related to foreclosures. Is there a way to change our mutual water Co from a general corp to a non profit corp? Yes, and in fact I recommend doing so for most companies. The process is relatively simple, although there can be some complications based on certain provisions that may or may not be in your existing articles of incorporation. The basics of the process are to adopt and file with the California Secretary of State a new set of articles of incorporation that organize the company as a nonprofit mutual benefit corporation. I have done this for approximately 50 companies over the past few years, and have a good template that the Secretary of State’s legal staff have approved and includes what I believe is the best set of language for mutual water companies. Feel free to contact me or another attorney for assistance. We are currently running an assessment on the shares and the US Post Office (which they own shares) ha stated that they do not need to pay the assessments since they are a government agency. The Post Office has paid their assessments in the past. I am not aware of any general rule that the US government does not need to pay assessments on mutual water company shares it owns. However, having worked for the US in the past, I can imagine that argument being made. I would push back on the claim, but you might not get very far! Incidentally, this is the reason for the language in Cal. Corp. Code § 14300(a), that if a California state or local agency acquires property served by a mutual company, the mutual will cancel the shares appurtenant to that property so that the agency never becomes a shareholder. While the agency holds the property, the company can deliver water to the agency on the same terms as if the agency were a shareholder, and if the agency sells the property to a private party, then the company will reissue the shares to that purchaser. This means that the agency would not be liable for assessments (since it would not be a shareholder), but it would be liable for regular rates, fees and charges. This would also mean that the agency cannot vote in shareholder elections, so it has both good and bad aspects from the perspective of both the company and the agency. A more common case that comes to mind for mutual water companies, which happened to us recently, would be a property that ends up being owned by HUD from a reverse mortgage. Although HUD’s service agents have paid the bills, it appears we should cancel the share until the property has a new owner, at which time, we can reissue a new share certificate. Alan, the California Corporations Code specifically talks about state agencies and does not mention agencies of the United States, like HUD. So there is no express law that requires you to cancel a membership appurtenant to a property owned by the federal government or one of its agencies. That said, I would not be surprised if a federal agency argued that it is not subject to assessments, even while holding a membership. If you had a corporate policy of cancelling the membership appurtenant to any property that becomes owned by a federal, state or local agency, that would appear to be permissible. On the federal side, you might need to be flexible based on how the specific agency wants to approach it. If the agency allows you to keep the membership in place and pays assessments as they become due, that is probably the best outcome for you. Hi Wes. Your most recent post prompts me to ask a follow-up question. We are a mutual water company organized as a nonprofit mutual benefit corporation. We have not been charging the county fire protection district for maintaining fire hydrants. As I read the statute, we are allowed to do so. Can we demand of the county that they pay for these hydrants? If so, how can we enforce that demand, should they refuse to pay? Our bylaws say that we “may file a personal action against [a] member in any court of competent jurisdiction. If the corporation is the prevailing party in such action, the corporation shall be entitled to recovery of any costs and expenses, including attorney fees, incurred in prosecuting such action.” But according to 14300(a), no county agency can be a member. Can we expect to collect attorney’s fees if we prevail in a collection action against the county? Thank you for all that you do here. We are a rural district and it seems that most of our fire protection is provided by standpipes rather than ordinary hydrants. Is it consistent with the Corporations Code to charge the county a flat fee (perhaps reduced) for these? Yes, the purpose of that statute is not to distinguish between different types of fire protection devices. As noted in my previous response, it is to authorize a mutual water company to deliver water to a fire protection district without that district being a member of the mutual, and without violating the prior language in Corp. Code 14300(a). David, you are right that Corp. Code 14300(a) allows a mutual water company to deliver water to fire hydrants owned by a county fire protection district. The purpose of that language is to make sure that a mutual can deliver water to fire hydrants within its service area while not violating the laws that prohibit a mutual from delivering water to non-members. In other words, the district does not need to be a member of the mutual in order to receive water for fire hydrants, and delivery can be made pursuant to a contract instead. A mutual is not required to charge a fire protection district for service to hydrants under this code section, and the purpose of the language in 14300(a) is not to force a mutual to approach fire service in a particular way. It would be reasonable for you to request that the district contribute something toward fire service, as the district is benefitting from your water system. At the same time, the real beneficiaries are property owners within your service area who receive fire protection, so charges imposed by you on the district are likely to ultimately fall on the same property owners. It may not make a substantial difference whether you charge the property owners through your rates and charges, or indirectly through the fire protection district. See my earlier responses for the substance of the statute. Note also that a fire station is different that use of water at fire hydrants alone. I don’t think you need to cancel the membership of the district, if they are happy with the way things are now. You can do so, and continue to serve the district as a non-member without violating the earlier language of 14300(a), which is the purpose of the sentence we are talking about here. But it’s not mandated, and if the district is willing to participate as a member, that seems like a good outcome to me. As far as payments of a district for hydrants go, you could adopt a hydrant fee. Then, yes, you could charge the district that fee and bring a court action if the district did not pay, including collecting attorney fees if the district remains a member (they need to be a member to be bound by the bylaws, which is one reason I don’t think there is an advantage to cancelling a district’s membership). However, note my prior discussion on whether you would really want to do that. From a practical standpoint, if the current arrangement works without any problems, it may be best to continue in the same manner. I have a follow up to your response of October 5th. We have a fire station in our service area, and it seems that we must cancel its membership. But more importantly, we have fire hydrants as well as standpipes for fire protection. We have never charged the county fire protection district for these, but it appears that under Cal. Corp. Code § 14300(a) we are permitted to do so. Is this correct? Does this statute apply to standpipes as well as hydrants? Our standpipes have no other use that I am aware of, though it seems they have a lower rate of flow than a regular hydrant. We have never charged the county for these and I’m concerned it will balk. Our bylaws allow us to collect attorney’s fees in a legal action to collect a debt from a member. Would the county also be liable for attorney’s fees if it refuses to pay? What would our recourse be? We are in a small, rural mountain community in Southern California. Our mutual water company has a prohibition on shareholders drilling their own wells. The question is this, is there anything which requires by law, a person purchasing a parcel of land in the community to purchase the shares of the water company which have been allocated to the land, or is the purchaser of land free to deny becoming a shareholder (and thus potentially drilling their own well)? It would seem that if the water shares “run with the land” as an easement does, then the purchaser of land would be required to purchase the share and be a shareholder. Todd, your logic is correct. The shares of a mutual water company run with the land, just like any other benefit or burden of land ownership, like an easement or CC&Rs in a subdivision. So when a person purchases land with an appurtenant membership in a mutual water company, they become the owner of the membership also. They are not required to purchase the membership, so much as the membership is automatically transferred to them as an appurtenance of the land. Can a nonprofit mutual water company in California generate income other then the sale of water. Our company is being strangeld by the arsinec rules and cost associated with it. We have a lot of abandon properties that could be rented out as a soursce of income. We are obviousely desperate for cash flow before we face Bankruptcy. (a year or two out) The properties being considered would be tax sale properties. Low to no real expense. Yes, a mutual water company can generate revenue from sources other than the sale of water to its members. However, there are a couple issues to watch out for. First, if a company enjoys a federal income tax exemption, the IRS requires that 85 percent of total company revenue be derived from members. If your outside revenue exceeds 15 percent, then the company will lose its exemption for that year. The calculation is made on a year-by-year basis. Losing the exemption is not the end of the world, especially as the company likely has no net income anyway, so no substantial tax liability. It does mean the company will have to make a tax filing. Second, there could be a problem if the company generates enough revenue from outside sources that it starts to earn a net profit. Mutual benefit corporations like mutual water companies are supposed to provide a service to their members, rather than a financial benefit. If the company starts generating a profit that could be distributed to members, it could be problematic. Each case must be examined on its own facts, and it sounds like your company is far from this point anyways. One last issue is to examine the company articles and bylaws, to make sure those documents do not contain any restrictions. It’s best practice not to include any such restrictions. We are an unincorporated nonprofit association formed in 1993. We distribute irrigation water only, no drinking water, no treatment facilities, just irrigation pipeline. Since we do not supply drinking water, we do not operate a “public water system” as defined in 14300.5 and HSC 116275. Are we governed under Corp Code 14300, or as an unincorporated association in Corp Code 18000? Corp. Code § 14300 only applies to corporations, and it appears that your organization would be governed as an unincorporated association. However, § 14300 and the following sections were originally passed to codify pre-existing rules related to mutual water companies, which would include both corporations and unincorporated associations. Those rules had been developed by the courts since the late 1800s, in much more detail than the statutory sections included. Many of the same rules concerning mutuals would likely apply to your organization, whether or not it is governed by § 14300. Since 2011, the Legislature has sought to change the rules applicable to mutuals by amending these sections of the Code, which would technically only apply to corporations. To know whether a particular provision applies to your organization, you would have to determine whether the rule was formed by the courts as common law and merely codified by the Legislature, or whether the rule was specifically changed by the Legislature for corporations. It sounds, and is, a bit messy. Can a shareholder of a non-profit mutual water company request a mailing list of all shareholders from the mutual water company? Yes. The specific statutory basis for that request depends on the type of corporation (general vs. nonprofit mutual benefit), but both laws allow a shareholder/member to inspect and copy the list of shareholders/members and addresses. The company can refuse to supply the list only if there is reason to suspect the list is requested for an inappropriate reason, e.g., advertising for a non-related business. A shareholder or member is entitled to the list so that the shareholder or member can communicate with their peers about corporation business, in furtherance of democratic governance of the corporation.